During profit repatriation from China, there are specific compliance requirements for each channel the foreign invested entity (FIE) may choose. Preparing in advance can substantially increase the likelihood of success and avoid corresponding risks. 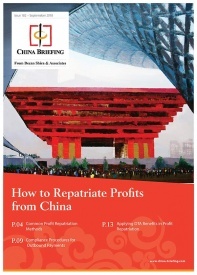 In this article, we provide step-by-step guidance for the respective procedures through which firms can remit funds from China. 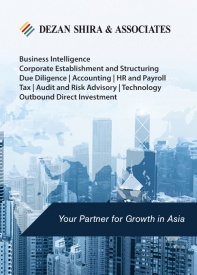 Generally, only profit that has undergone annual audit and tax compliance process can be repatriated. 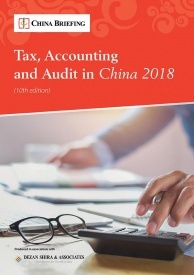 Annual audit for tax compliance in China involves producing a statutory annual audit report, a Corporate Income Tax (CIT) reconciliation report, and reporting to relevant government bureaus. 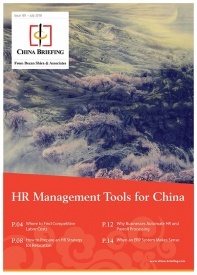 The relevant procedures and key considerations vary slightly by region and entity type. It is usually completed around June or July every year (see accompanying timeline). This process allows tax authorities to make sure all CIT has been paid up with regard to the profits being distributed. The tax authorities will also confirm the maximum profit amount that can be repatriated based on the net profit indicated in the financial reports. That is to say, the accumulated losses should have been made up and the mandatory reserves fund has been properly withdrawn. Notably, the annual audit process can only be used to repatriate the profits acquired in the past accounting year. In case the FIE wants to remit the accumulated profits in the previous years or postpone the profit distribution to the following years due to a cash flow concern, an additional special audit report will be required. To decide how much profit the FIE will distribute to its shareholders and when to remit, the FIE’s board of directors or executive director should draft a profit distribution plan. Upon shareholder’s approval, the profit distribution plan becomes a resolution. For repatriation of accumulated profits in the other year, the profit distribution resolution should be reached prior to the special audit. Overseas shareholders, who are tax residents of a country that has an effective double tax avoidance agreements (DTA) with China, can submit corresponding documents to the tax bureau in charge in order to enjoy the DTA benefits. The FIE and overseas shareholders may determine whether the DTA benefits are applicable to them by themselves, which usually entails a beneficial owner assessment. They can enjoy the preferential withholding tax rates upon withholding tax filing without pre-approval from the tax bureaus. However, the tax bureau will conduct supervision of the application afterwards. Other documents that can prove the taxpayers are beneficial owners of certain income. For repatriation of profits as dividends to overseas investors, the FIE is obliged to withhold the relevant tax and file to the tax bureaus in charge within seven days of the tax obligation arises. In practice, some companies may pay all withholding tax at once during the annual CIT reconciliation process. However, this is not suggested considering the compliance risks. For outbound payments with an equivalent value of more than US$50,000, the company is required to conduct record filing with the tax bureau in charge. Companies must fill in a filing form and provide valid contracts, or other relevant transaction documents, to the tax bureau. In the case of remitting dividend, a CIT withholding contract should be provided. Whether the DTA benefits has been properly used, in case the company applied for preferential tax rates. Upon verifying the documents submitted, the tax which will affix a seal to the filing form. Proof material that the register capital of the FIE has been paid within the time limits as set out in the Articles of Association. For contracting projects to non-residents, or accepting service provided by non-residents, the FIE needs to make a record-filing of the service contract within 30 days of the contract’s agreement. 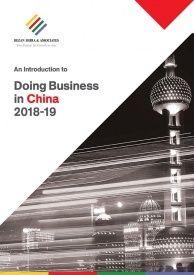 If there is a DTA in place between China and the jurisdiction in which the parent company is incorporated, the services provided in China by the overseas parent company through its employees or personnel may be exempt from CIT. The FIE and overseas parent company can determine whether the DTA benefits are applicable and enjoy the DTA benefits during withholding tax filing. For service fees, besides the beneficial owner assessment, the company needs to make sure the services are provided within a certain period. If the service activities continue (for the same or a related project) for a continuous or cumulative period, such as 183 days within any 12-month period, a permanent establishment (PE) will be constituted. If so, the DTA benefits of CIT exemption won’t apply, and the service income attributable to the PE will be subject to 25 percent CIT. As detailed in Step 3 of the previous section, the company needs to submit certain materials to the tax bureaus for review and monitoring purposes. Service fees are generally subject to VAT and surcharges, which are around 6.72 percent in total. For CIT, services rendered outside China are exempt from CIT, while services rendered or deemed to be rendered in China will be subject to CIT at 25 percent, calculated on the deemed profit rate of 15 to 50 percent. 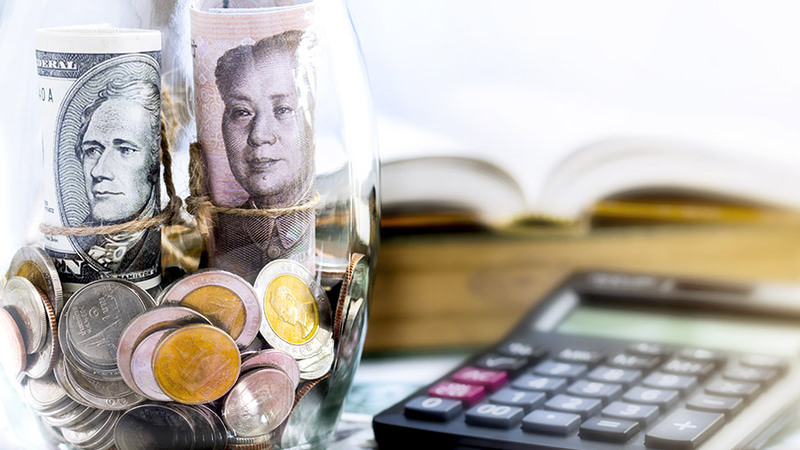 Chinese companies are advised to specify the offshore services that it received in the relevant service agreements and be prepared to clarify the nature of the services in case the tax bureau makes a challenge. The Chinese subsidiary serves as the withholding agent. Accordingly, it needs to complete withholding VAT and withholding CIT filings, respectively, within the mandated period. This step follows the same process as what is introduced in Step 5 of the first section. As an item under current account, there is generally no extra limits for outbound payment of service fees. However, in practice, the bank usually will examine the rationality and the authenticity of the transaction, following the guidance issue by State Administration of Foreign Exchange (SAFE). The invoices issue by the service provider, the payment notice, or the other documents that can prove the rationality and authenticity of the transaction. If the royalties are paid for importing of technology and know-how – which include patent transfer, patent application right transfer, patent licensing, know-how licensing, as well as technical service agreement – the company will need to register the contract with the local commerce bureau. The latest audit report of the FIE. If the royalties are paid for trademark licensing or transfer, the company will need to register the contract with the trademark office. Again, as detailed above, the FIE and overseas parent company can determine whether the DTA benefits are applicable to them by themselves and enjoy the preferential withholding CIT rates during withholding tax filing. The self-determination should be based on the beneficial owner assessment. The company needs to submit certain materials to the tax bureaus for supervision after the application has been completed. Royalties are generally subject to 6.72 percent VAT and surcharges, and 10 percent withholding CIT, which can be reduced to a lower rate if there is a valid DTA applicable. The Chinese entity acts as an agent to withhold the tax on royalties at the source. It needs to make withholding VAT and withholding CIT filings, respectively, within the specified period. This step follows similar process as what is described in Step 5 of the first section. The invoices, the payment notice, or the other documents that can prove the rationality and authenticity of the transaction. As an item under the capital account, extending loans to overseas parties face higher scrutiny from SAFE. For offshore loans that are less than 30 percent of the owners’ equity, the FIE can make a register with SAFE by submitting the offshore lending agreement and the most recent financial statements. In the case that offshore loans over 30 percent of the owners’ equity shown in the financial report, the application will be subject to a case-by-case examination and approval. Other documents required by the people’s bank or the SAFE in charge. Upon the proper submission of the documents, the SAFE in charge will make decision within 20 working days. If the SAFE in charge approves the offshore loan application, the Chinese subsidiaries can open a special bank account in the bank appointed by the SAFE. All monetary transactions regarding the offshore loan must be through this special account, including the remittance of the loan from China to abroad, and the repayment of the loan and the interest from oversea to China. For companies that extend offshore loans with their self-owned funds, they can apply to the bank to make loan payments directly by submitting the registration and approval documents issue by the SAFE in charge. « China International Import Expo 2018: Did it Live Up to the Hype?